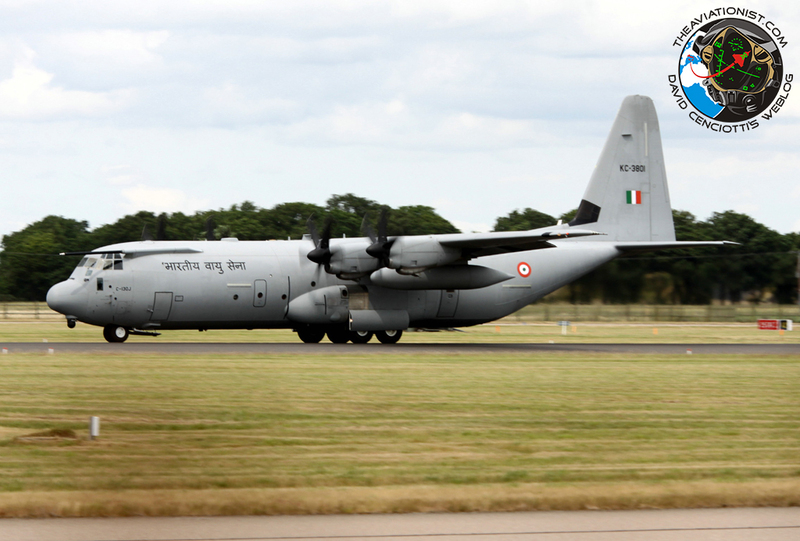 The Flankers are involved in exercise Indradhanush 2015. Delayed by one day, on Friday morning Jul. 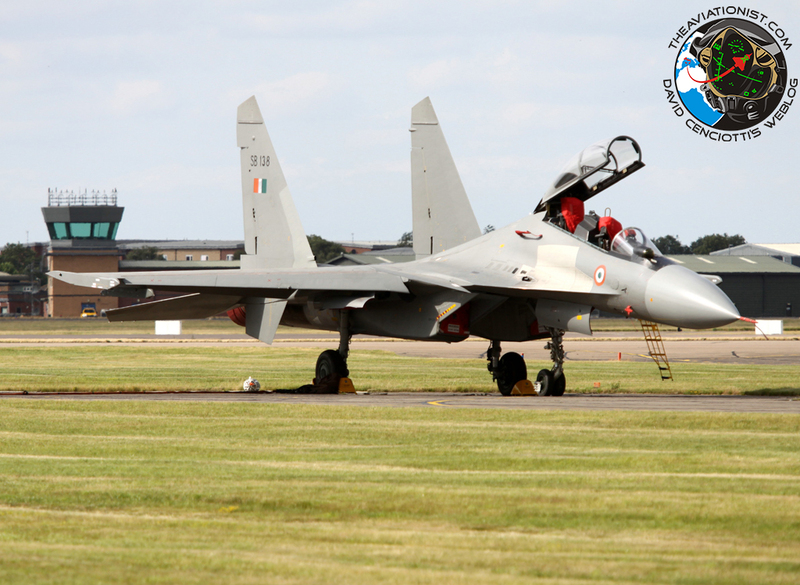 17, four Indian Air Force Su-30MKI Flankers (SB-065, SB-138, SB-167 and SB-309), all believed to be from 2 Sqd, deployed to RAF Coningsby, UK, for Indradhanush 2015, a joint training exercise with the Royal Air Force. 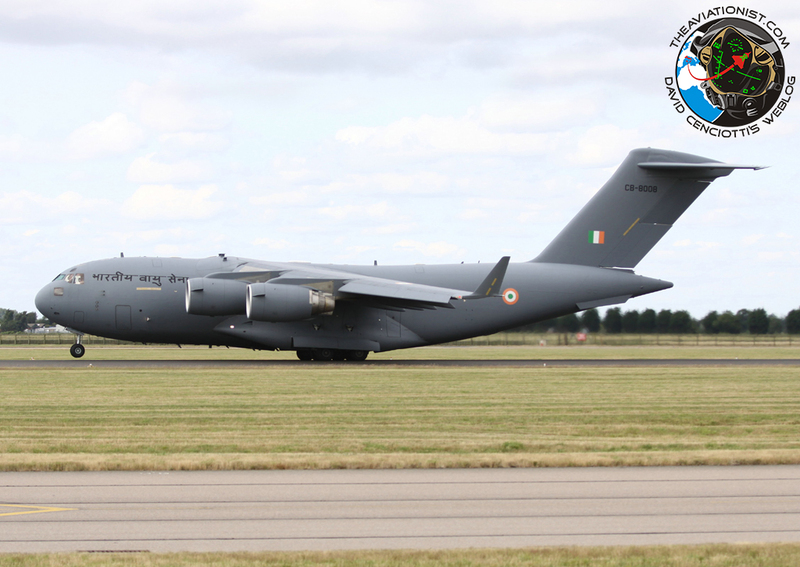 Imminent arrival of the multirole jets was preceded by a C-17A CB-8008 from 81 Sqd and a C-130J-30 KC-3801 from 77 Sqd, carrying the ground crews, and all handling gear required for the 21-day deployment. 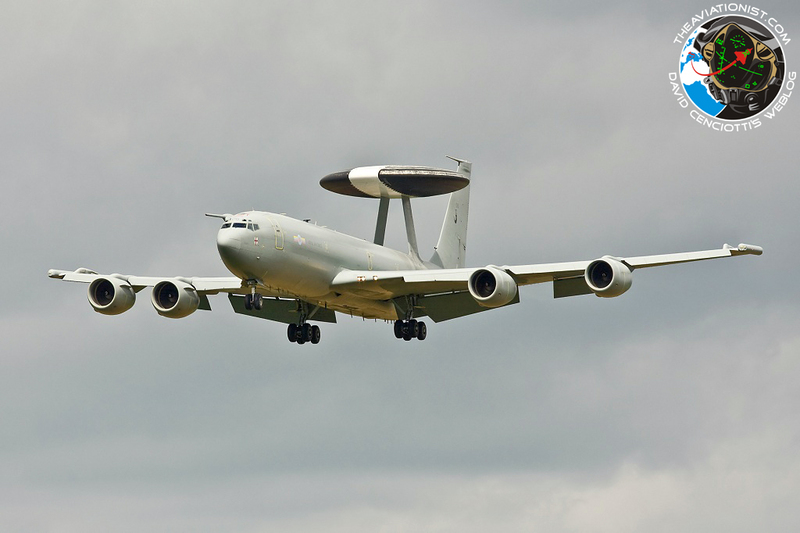 The Il-78 Tanker had also accompanied the Flankers to Coningsby (via Greece), but over-flew, heading for Brize Norton, from where it will operate for the duration of the drills. 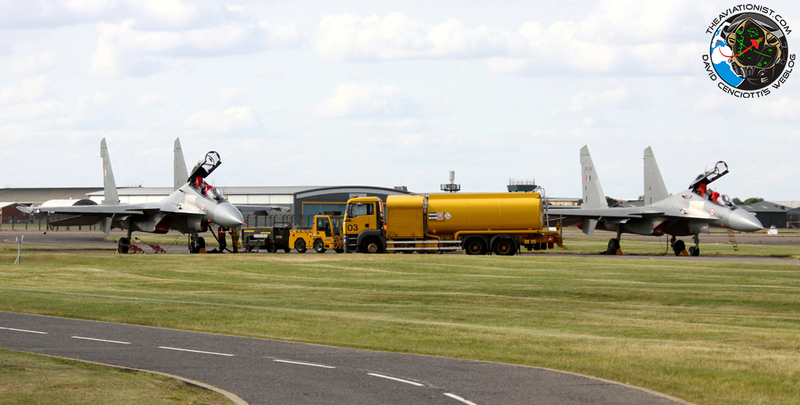 The pictures in this post were taken at RAF Coningsby by The Aviationist’s contributor Tony Lovelock on Jul. 17. 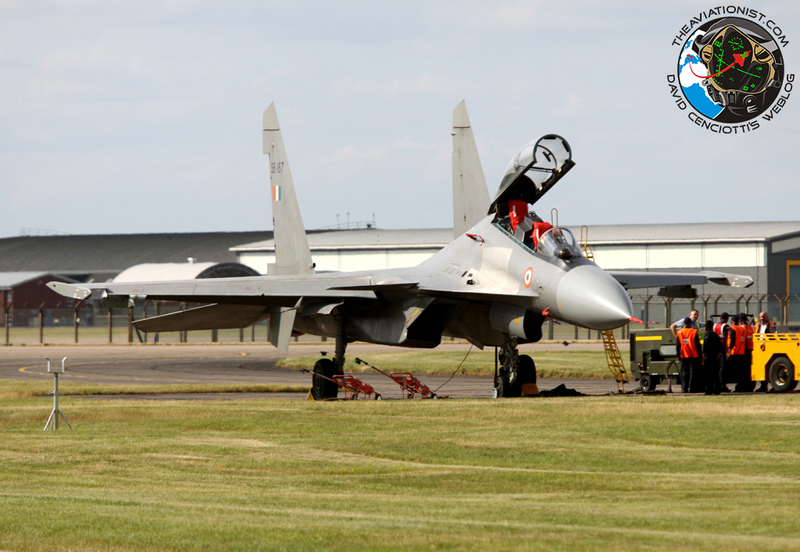 This is not the first time the Indian Sukhois deploy to the UK: in 2007, some Su-30s deployed to RAF Waddington to undertake joint training with the RAF. The Su-30MK is a multirole Flanker variant fitted with both canard forewings and thrust-vectoring nozzles which have further improved its agility. As reported in a previous article, the Indian Su-30 used its maneuverability to beat the F-15 in several simulated dogfights conducted at Boeing’s St. Louis facilities. Indeed, according to an article for AW&ST by David A. Fulghum and Douglas Barrie an anonymous USAF officer said that in the case of a missed BVR (Beyond Visual Range) missile (like the AA-12 Adder) shot by the Flanker, the Su-30 could turn into the clutter notch of the F-15’s radar, where the Eagle’s Doppler was ineffective. Although the report is still much debated (the Rules Of Engagement) are unknown, the Su-30 is considered an excellent challenger for many Western combat planes, including the Eurofighter Typhoon that will probably have a chance to fly air-to-air engagements against the Indian Flankers during their stay in the UK.